Valentine's Day is just around the corner and if you're not ready yet or haven't got your guy the perfect gift, don't fret. I've written a guide with some gift ideas from your gamer to your gym buff and the classic gifts in between. From my experience of buying Valentine's, birthday and Christmas gifts for John I've learned that he loves the more useful gifts in life than those cheesy holiday themed gifts. So ignore that cute mug telling him how much you love him and go for something he'll use almost everyday. Nothing says I love you more than that in my opinion! Hopefully this gift guide will give you some great ideas as well as inspire you for other gifts that might pop into mind. THE CLASSIC GIFT - This has got to be my favourite go to gift for John on any occasion but especially for Valentine's Day. An aftershave is something you can both enjoy and though scents are a personal preference there are a couple out there that are all-round favourites. For me, I know what John likes and we've got similar tastes in aftershaves. 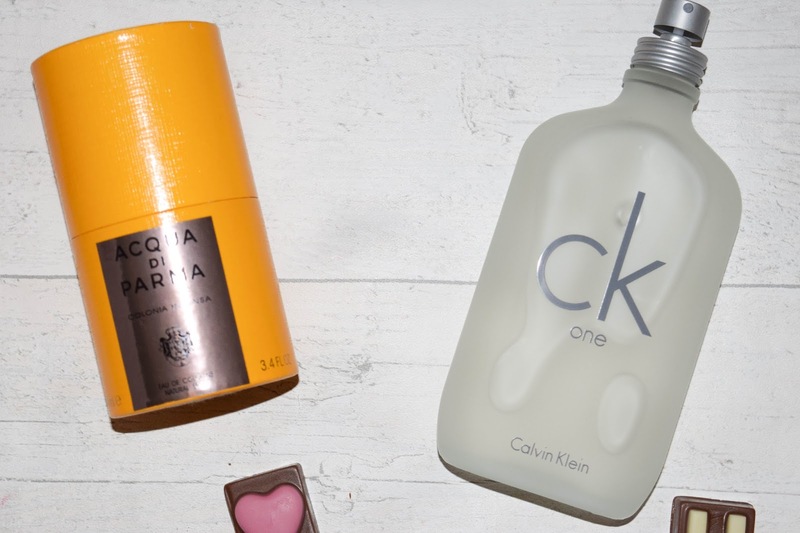 CK One is a great all-rounder and comes under the £30 mark but if you're wanting to splash the cash a bit more I'd totally recommend Acqua di Parma Colonia Intensa Cologne but you'll have to shop around for a good price as it can be up to £258 for a 500ml bottle. But it's worth it. THE USEFUL GADGET GIFT - It's a wallet, yes. But not just any wallet. This is a cardholder wallet and one of my favourite new gadgets I've seen on the internet in the last couple of months. Not only does it hold everything you need in this small, sophisticated and sleek wallet but it keeps your cards safe and sound in a metal casing that blocks unwanted readings of Radio Frequency ID. It's also got a cool push up lever that allows you to instantly access your cards when needed without opening up the whole thing. 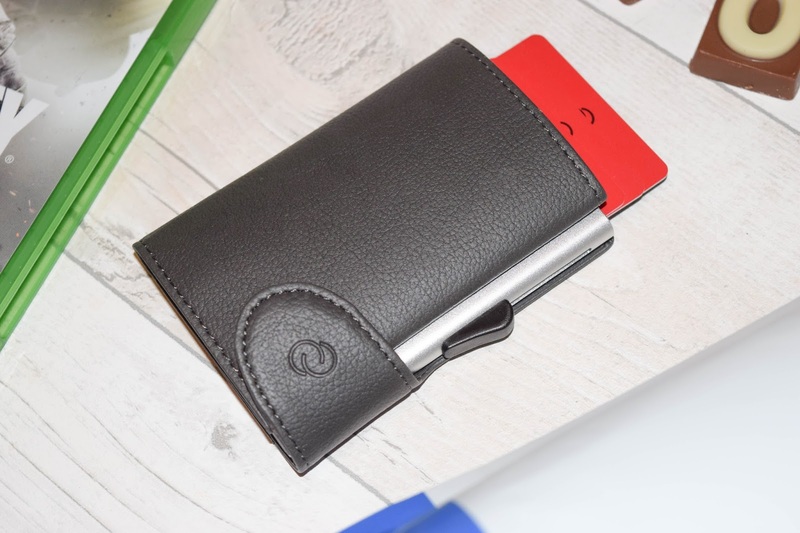 It holds up to 7 cards, or 5 embossed cards, has a section to hold your notes and a couple of small pockets that would allow for a couple of loose coins and receipts. This would be a great gift for someone who wants something safer for either nights out or even on a day to day basis or just doesn't like to carry much around with him. It suits every man's lifestyle and is actually an extremely useful and thoughtful gift. You can get one of these on Menkind for just £14.99 at the moment! THE MUSIC LOVER'S GIFT - Now this is a gift I've already bought John but I had to put these in here because they're great for your music lovers and because they're still a big thing. 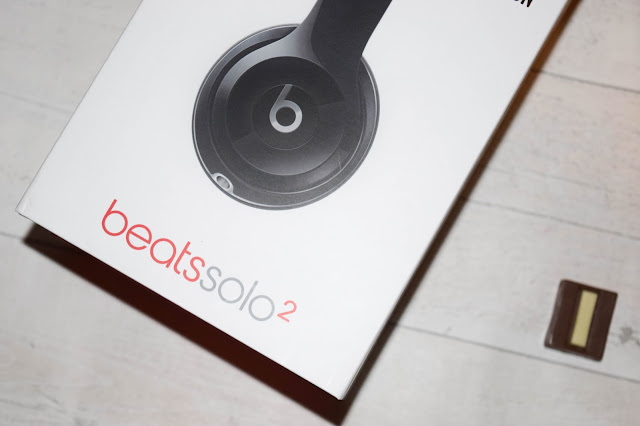 With the wireless headphone market growing so quickly, it's no doubt that Apple are doing great with the Beats at the moment having had wireless headphones available for such a long time. It's times like this I wish I wasn't sensible and went for wired headphones when I bought these for John a couple of years ago because soon enough, he won't be able to use them. The only problem I find with wireless ones is their lifeline. When will they stop working and what do I do if that happens? That's why I'm going to miss wired headphones but with wireless being so convenient and freeing, it's a pros vs cons game. Either way, any music lover is going to love a set of Beats and if you're wanting to spend just a little more this Valentine's Day, these are definitely worth it. THE FIT GIFT﻿ - If you're man is into his gadgets and fitness this is another one of those perfect 'big' gifts. 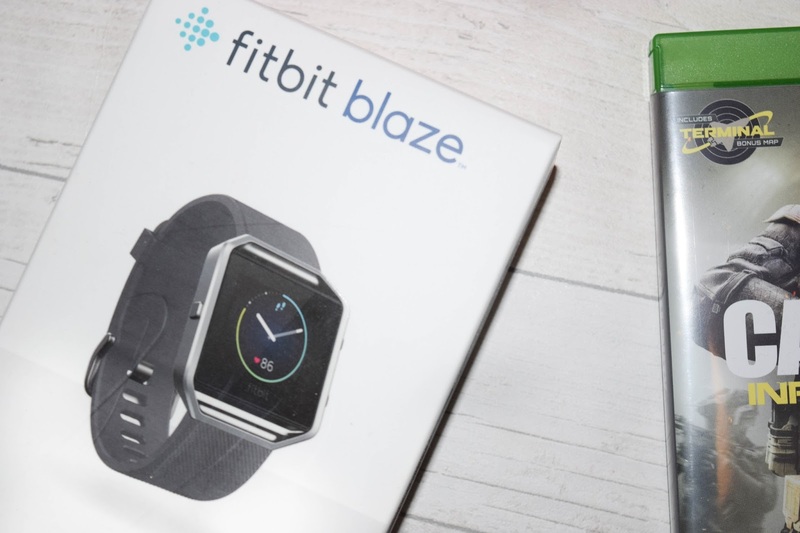 The Fitbit Blaze is your Fitbit, watch and also allows you to connect to your phone to receive messages. Now, John already has this but he loves it. He wears it everyday and keeps him thinking about his fitness all the time. If you're on a budget there are other versions of the Fitbit your guy might prefer instead but I really like this one and actually am starting to think about getting one myself. 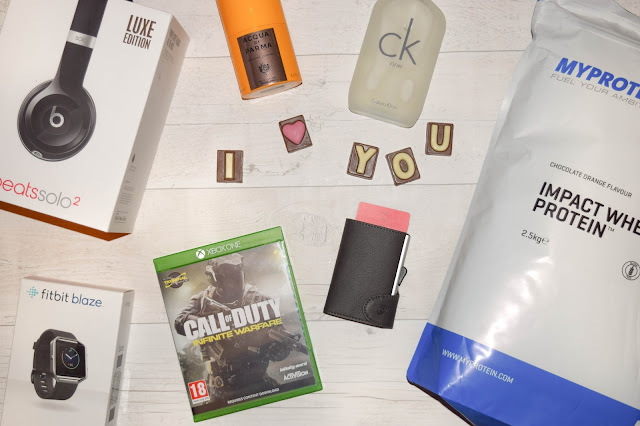 THE GAMER'S GIFT - All the men that I know love a bit of gaming whether it's on an Xbox One, PS4 or their PC but there are a ton of games out right now that your man would love. There's the classic Call of Duty, Battlefield 1 and so many more that you could buy them. 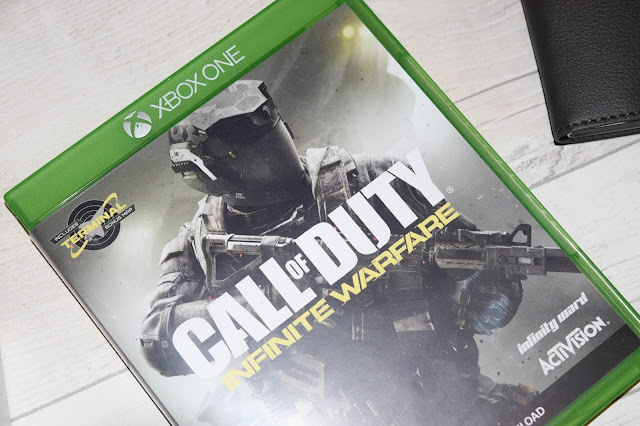 Raid their collection, take a photo and see what they have and haven't got and pick your game. If you're guy is a PC gaming kind of guy they might like World of Warcraft's Legion expansion. THE GYM BUFF'S GIFT - I know that protein powder would be one of those gifts John would absolutely love for Valentine's Day. He goes to the gym 4-5 times a week and is a very active man so drinks protein shakes after his workout and throughout his day. Now, I didn't know until a few months ago that they do a load of different flavoured protein powders! 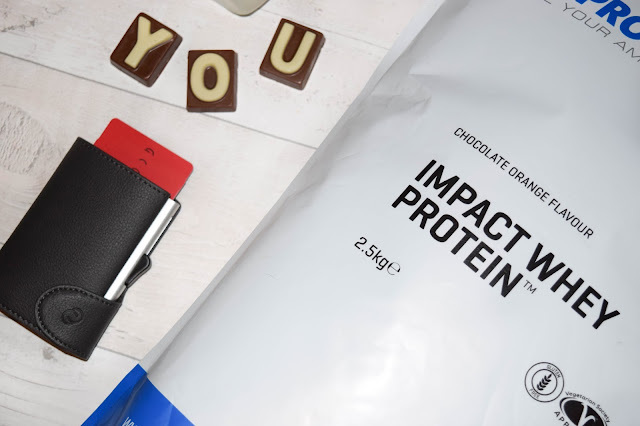 John absolutely loves them and his favourite is the Chocolate Orange one, so for Valentine's Day I'd love to stock him up on his favourite protein shake flavour. A 2.5kg bag is just under £30 and lasts quite a while, so it's definitely something I know he'd appreciate more than a box of chocolates. Brilliant gift guide! Everything is so perfect for that guy in your life!! !